For this year's anniversary dinner, I decided to make a reservation at Osteria Art. One of the restaurants under the il Lido group. The Italian restaurant is helmed by Michelin-star Chef-Restaurateur Beppe De Vito and Chef De Cuisine Andrea De Paola. 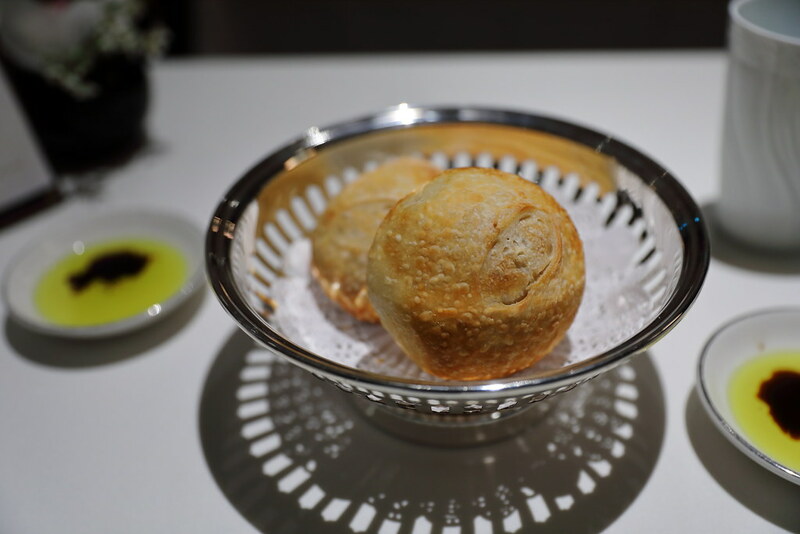 Our dinner started with some complimentary Bread that is served warm, together with olive oil and balsamic. Next is our starter. The Hokkaido Scallops with Cauliflower and Seafood Cacciucco ($28). The scallop which has been pan seared, emits an beautiful aroma on top of the plump and juicy scallop. 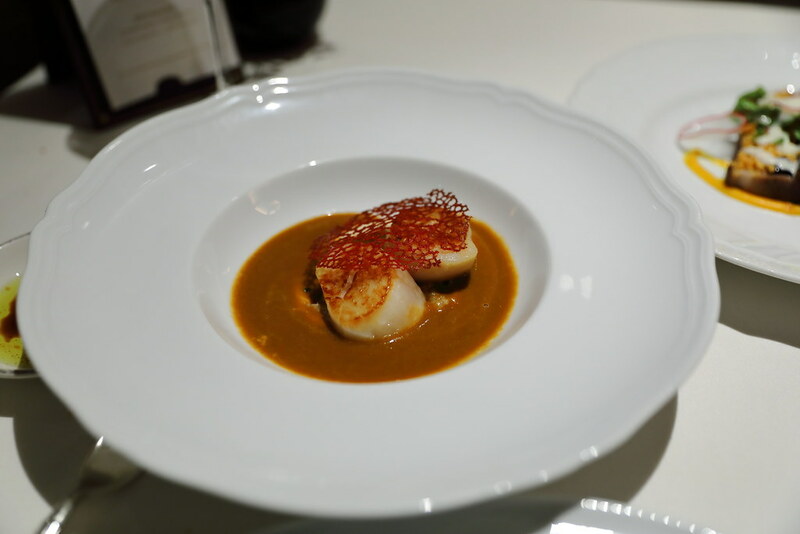 Complementing the scallop is the seafood stew that is packed with depth and flavours. 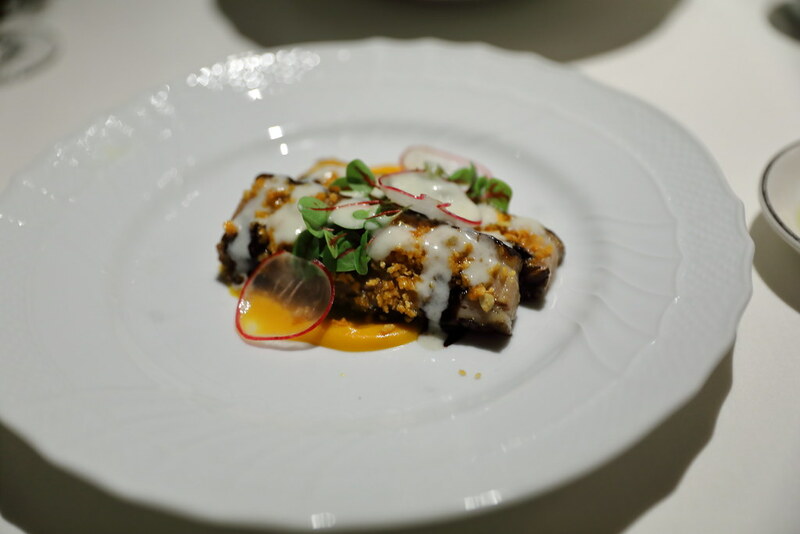 The other starter we ordered is the Roasted Iberico Pork Belly with Rind Crumble, Butternut and Robiola Cheese ($24). The pork belly is cooked until fork tender with the rind crumble providing the contrast in texture. 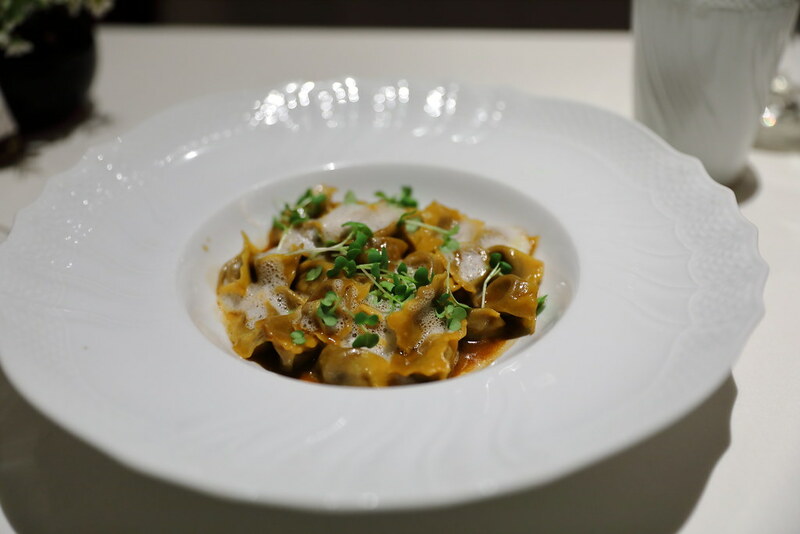 For the pasta selections, we decided to go for the Wagyu Beef Ravioli with Squash Blossoms, Sage and Parmigiano Foam ($28). 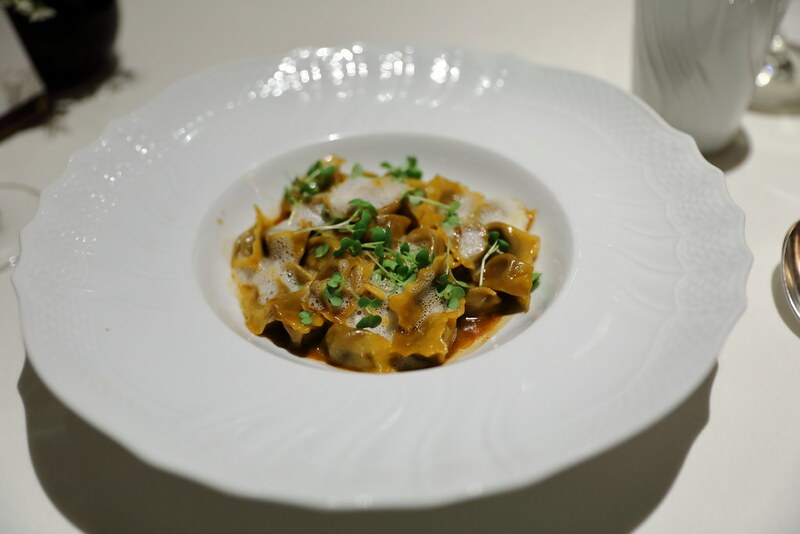 I was quite surprise to see the little mini parcel of wagyu beef ravioli, as I was expecting something bigger. 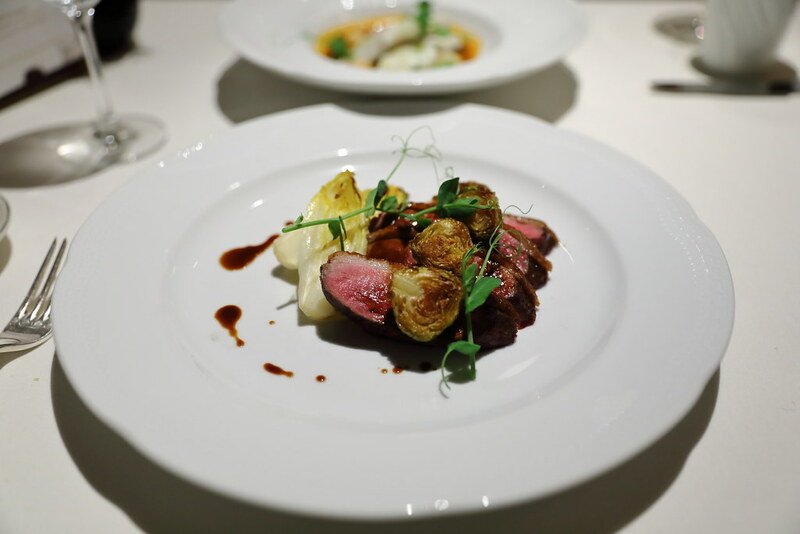 While it is interesting to nibble on the mini ravioli, I could not taste any wagyu beef. In fact it felt like the ravioli is filled with beef jus instead of the meat, I cannot find any protein in it. 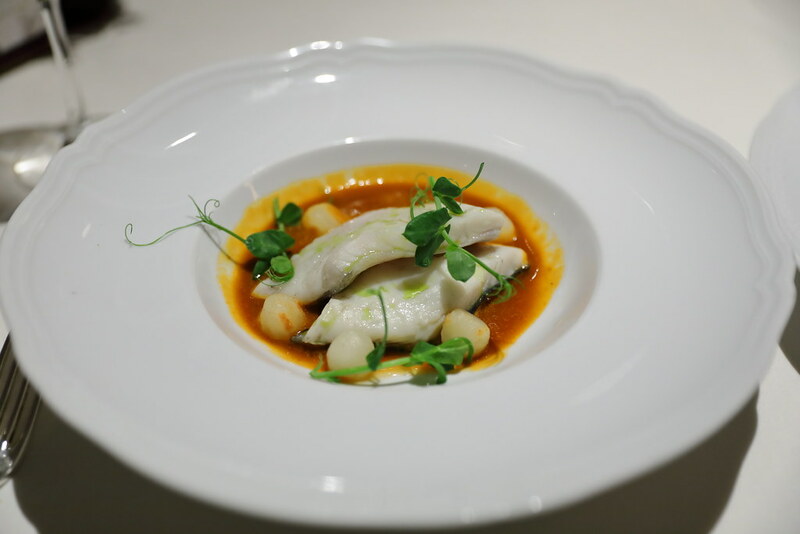 Moving to the mains, we have the Steamed Wild Grouper with Rock Fish Stew and Celeriac ($38). Except for the sauce, the fish tasted rather bland. We struggled to finish the dish. The saving grace is the Duck Breast with Purple Sprouts, Endive, Honey and Yuzu Sauce ($36). The flavoursome duck is cooked perfectly to a nice pink. I could not really taste the yuzu sauce but it was a blessing in disgust, allowing me to appreciate the meat more. Overall we have enjoyed the starter and pasta dishes at Osteria Art. Unfortunately we find the mains scoring below my expectation, I think they need more fine tuning to elevate the taste.